With our unlimited talk time plans you can make unlimited calls within the US and Canada without overage charges. These simple plans enable your agents to spend more time on the phone while reducing your cost. With our web based predictive dialer you do not need an office phone system. All you need is a computer, internet access, and a headset for your agents to start taking calls. 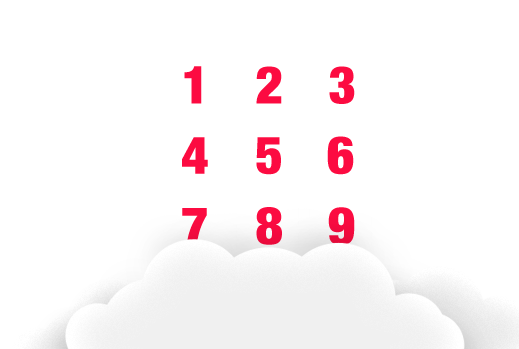 Our hosted predictive dialer allows us to set up your account and campaigns quickly. Our customer service support team can have your campaign live and calls being made within fifteen minutes of payment processing. Live campaign control allows you to select from 1×1 to 10×1 channels per agent, based on your answer and abandoned call rates. View reports and monitor agents in real time from anywhere in the country. Our web based predictive dialer gives your managers flexibility and control. Our predictive dialer software enables you to manage leads, contacts, call backs, agent dispositions, and lead dispositions. You can create custom events such as sales made, leads generated, and transfers. We are currently offering month to month contracts for all new customers. Act now because this is for a limited time only! Stay in compliance with the updated do not all laws by scrubbing your list against the Federal DNC list and providing customers with the option to opt-out. When customer opt-out they will be added to your company’s internal do not call list. You can also block an entire state or area code. Your call center agents can work from anywhere with an internet connection – including overseas! All they need is a computer with an internet connection to get started. Optional call recording and audio storage for 30 days. Monitor your agents calls in real time. Provide coaching through chat messages delivered directly to their screen. This is less distracting then providing verbal coaching during calls. Our predictive dialer software can automatically leave a voice mail on answering machines. Allow your agents to schedule call backs and then see popup notifications when the time of the call back arrives. Export your call detail records to csv files. Start and manage multiple campaigns with ease from a single interface. Run multiple campaigns dialing from the same phone list without worrying about duplicate calling. Upload and manage phone and lead lists in csv format. Our web based predictive dialer enables you to custom map fields with ease. Sort your phone lists by time zone, area code, and state when uploading. Provide call center reps with hot transfers from qualified leads. Transfers can be made to any US phone number either blindly or with a warm introduction. Preset up to 3 transfer numbers per campaign. Customize the dispositions agents select at the end of each call. Our Dynamic predictive dialer software can send scripts and customer information directly to an agent when a live call transfer is made. Providing agents with additional information can increase their closing ratios. Our web based predictive dialer gives multiple abandon call options to maximize your talk time and minimize lost calls. Manage all of your Caller ID’s (ANI’s) from a central hosted predictive dialer interface. Recycle your dialed phone leads based on call status. Customize the customer information that populates on your agents screen when a live transfer is made. Avoid unauthorized access by setting up specific manager permissions. Optimize your sales agents performance by providing them with the perfect pitch. Speak with a Dynamic sales representative about this exclusive feature today! Our Dynamic reporting tools enable you to see what is happening in each campaign or all of your campaigns. These reports are generated in real-time through our web based predictive dialer platform. A report can be generated of all the contacts your agents have made within a specified time frame. You can drill down based on campaign, agent, disposition, and date range. Real time report of the call backs being scheduled by all your agents. Monitor the most recent and average wait times between calls for your agents. Pull real-time reports for call dispositions set by your agents. See who’s making the most calls. View a breakdown of your agents and their external call transfers. Call us and speak directly with a live, US based, customer support rep.